The index opened positive at 8857 and stayed in a narrow range only to see huge un-winding in the last 90 minutes of trade to close weak at 8754.95, huge loss of 78.65 points. The broader market was also weak, with 537 advances to 976 declines. Range as per Option Table has come down to 8500-8900. 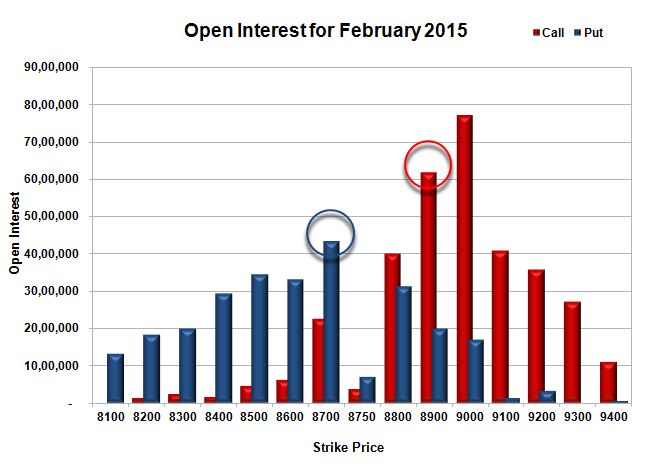 Call option 8700-9000 added huge 32.58 lacs OI with profit booking seen at 9000 and above strike prices. 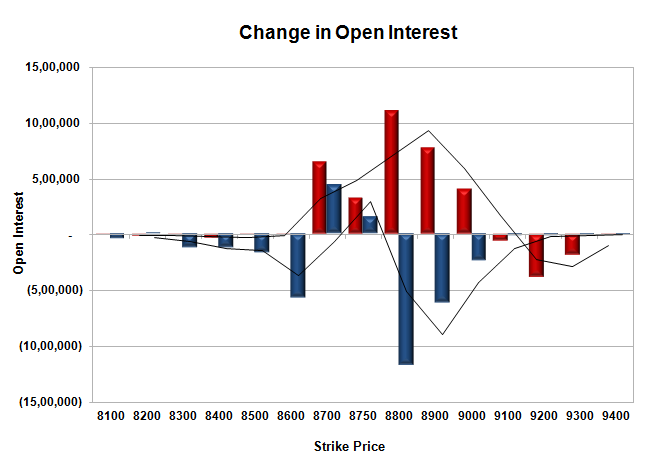 Put option 8750-8700 added 5.99 lacs OI with short covering seen at 8800 and above strike prices. Nifty Open Interest is at 1,65,23,375 down by 64,12,825, whereas March series added 60.59 lacs with decrease in price, mostly rollover with small long liquidation. Bank Nifty Open Interest is at 22,34,675 up by 25,125, whereas March series added 1.20 lacs with decrease in price, most probably short build-up in both series. FII’s bought 1.43 lacs Futures, which includes 6822 contracts long build-up and 1106 contracts short build-up, with increase in net OI by 7928 contracts (includes 318305 longs to 312589 shorts for the day) and the Average Price comes to 8858.78. FII’s Index future open contract as on date is 744331 Longs to 123151 Shorts, net long 621180 up by 5716 contracts. Initial and best support has moved down to 8700, with OI of 43.41 lacs and below that at 8600 with OI of 33.19 lacs. Initial resistance at 8800, with OI of 40.05 lacs and above that at 8900 with huge OI of 61.74 lacs. 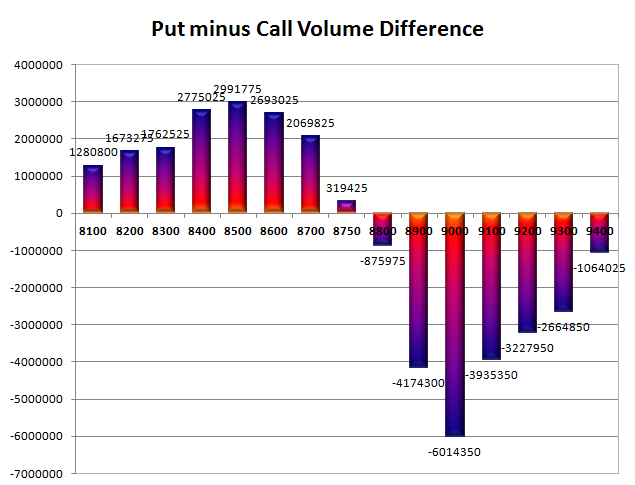 Day Range as per Option Table is 8696 - 8858 and as per VIX is 8656 - 8854 with 8786 as the Pivot.